BISMARCK, N.D. — Five-time world champion boxer Virgil Hill is stepping into the ring for a final time. The North Dakota boxer will fight Seattle boxer Roger Cantrell at the Bismarck Event Center on Feb. 28. Tickets go on sale Friday. "The fight is about North Dakota. It's going to be my last fight. I can't think of any other way for me to express to the people of North Dakota how honored I am," Hill said. "It's just a farewell, a goodbye." Hill, who will turn 51 years old on Sunday, won an Olympic silver medal in 1984. He has won 50 of 57 fights as a professional in different weight classes, earned five world titles and made 20 successful title defenses. 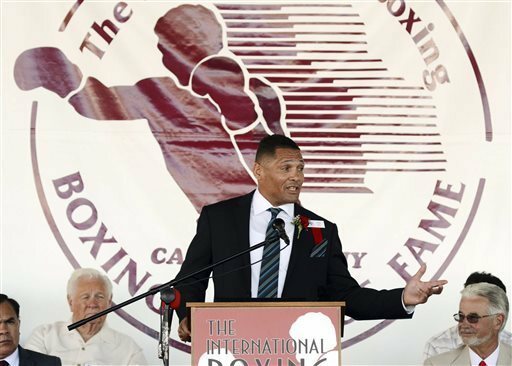 He was inducted into the International Boxing Hall of Fame in 2013. His last victory came over Valery Brudov in 2006. He will fight next month as a cruiserweight. Hill often fought in North Dakota during his early career, and the bouts were televised nationally. He has fought some of the biggest names in boxing, including Thomas Hearns and Roy Jones Jr. His son, Virgil Hill Jr., has followed him into the sport, and might be on the card next month. Hill said having his final fight in North Dakota means a lot to him. "Everything. More than the Hall of Fame for me," he said. "For me to come back here and have my last fight, that's the stamp for me, that's what means the most."